Barbizon Midwest Review: Barbizon Midwest's Breanna Lynn Uses Her Talent to Make the World a Better Place! 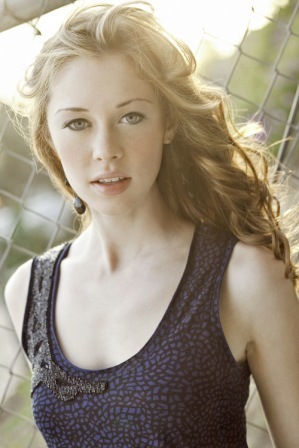 Barbizon Midwest's Breanna Lynn Uses Her Talent to Make the World a Better Place! Barbizon Midwest's Breanna Lynn is a great singer, and this fall she'll be using her voice to change lives! Breanna will be performing on the Starbucks stage at the Adams Street Fair in San Diego in front of 80,000 people. Along with her performace, Breanna will be launching her anti-bullying campaign, called "Break the Chain Campaign, 2012", in Los Angeles schools with the start of the new school year. Fans and students are all proud of Breanna's hard work and the way she's taking a stand against bullying, and her campaign is sure to help students become more confident and respectful of themselves and their peers! Breanna has been a rising star in the music world for several years. Her album, titled "Breanna Lynn", was released earlier this year and has already been a big hit! Along with her singing, this Barbizon Schaumburg graduate has been in the animated film "Dorothy of Oz" and the hit TV show "Sons of Tucson"! Breanna has a great career so far and things are sure to get better! Be sure to go to her website, www.breannalynnmusic.com, and follow her on Twitter at @brelynnmusic to keep up with the latest news on all of her awesome work!